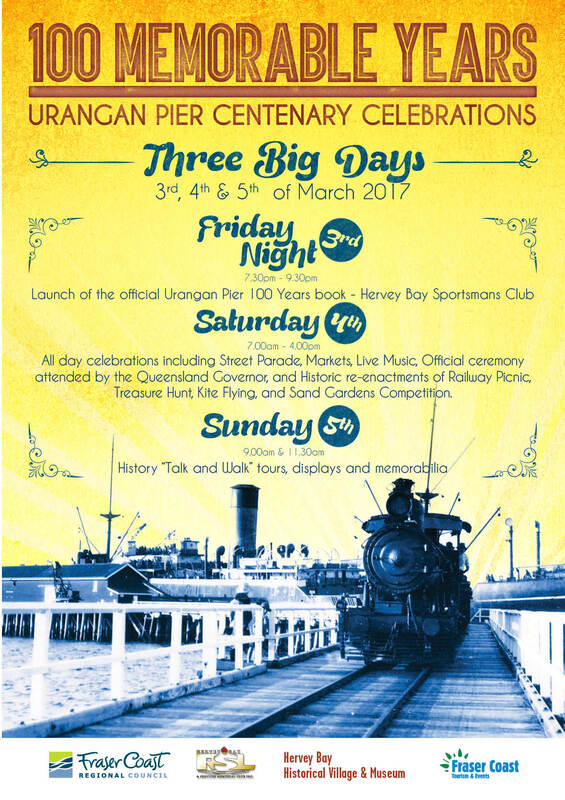 The first weekend in March 2017 will see the Urangan pier celebrate 100 years since first completed. The Centenary event will start on Friday 3rd March with a book launch at Urangan Sporties Club on Pier St. at 7.30pm. A 200 page, full colour book has been produced by the Hervey bay Historical Village & Museum to commemorate this milestone. Many previously unseen photographs are included and there are many stories regarding the Pier from locals. Click here for more information regarding the book. A highlightof the evening will be the auction of a framed photo print of the Pier, “Sunrise over the Pier”. This photograph is featured in the book on page 190 and was donated by local artist and photographer Peter Doré. In conjunction with the production of the book, the Museums resident Master Ropemaker and woodturner, Brian Taylor MRM, has created limited edition Biros’ and Fountain Pens made from original Urangan Pier timber. Click here for more information regarding these unique pens. Saturday March 4th will see the Pier come alive with a massive Parade, The Queensland Governor re-opening the Pier, Entertainment on two stages, Treasure Hunt, Sand Gardens etc. plus lots of free games and activities for children. The day has been supported by the Fraser Coast Regional Council, Fraser Coast Tourism & Events, Hervey Bay RSL, The Boat Club, Fraser Lions Club, The Historical Village & Museum. Federal Member Keith Pitt, State Member Ted Sorensen along with many others. Click here to contact Erica Neate (Organiser) for more information. 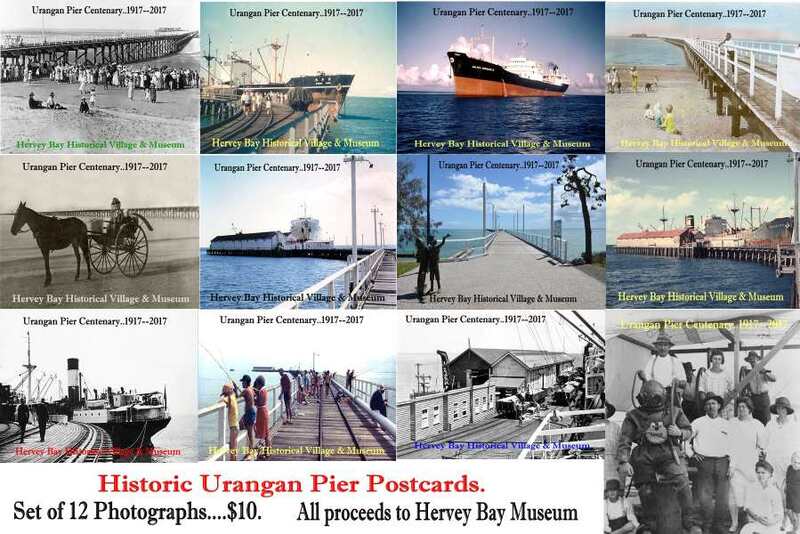 On Sunday March 5th, from 9am to 11.30am, Historical Village & Museum President John Andersen and Deputy Mayor George Seymour will conduct Walk’n’ Talk sessions about the Pier. Eftpos will be available at all events, Friday, Saturday and Sunday. The book, pens and photo sets will also be on sale at the Historical Village & Museum at 13 Zephyr St. Scarness from Saturday onwards.